Home » Blog » #DeepVeerKiShaadi – TBT Fav. DeepVeer Moments Setting Major Bollywood Couple Goals! As the whole nation is gearing up for #DeepVeerkiShaadi, We are still in the awe of this couple’s magical romance. We just can’t help but swoon over how adorable Deepika and Ranveer look together and their adorable PDA that’s pure bollywood couple goals! As this couple gets all set to tie the knot, here are some of their cutest childish #DeepVeer moments of love we got! We all have been rooting for #DeepVeerKiShaadi since the time we saw their chemistry in Ram Leela – that was pure fire! *Swoon* When we got to know they’re dating, we were over the moon! 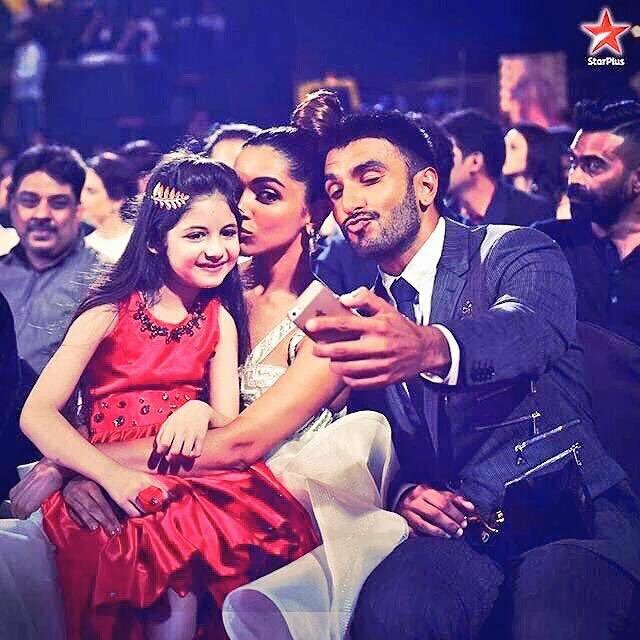 Deepika and Ranveer’s awww worthy moments, a true DeepVeer fan can never get over! As the festivities begin at Lake Como, Let’s take a look back at Deepika and Ranveer’s cutest moments over the years. Who better to marry than your best friend? BFFs for life cant wait to see them as husband and wife! A couple that plays together stays together! Sisters are supposed to make their Jiju’s life a little hard. Deepika looks adorably miffed as Parineeti plays the Saali Card! Everything is fair in LOVE & WAR! Love is a War! We Love how Ranveer and Deepika are enjoying it and absolutely winning us over! Major Couple Goals. Giving Her Roses in Super Cute Poses! Remember the time when Ranveer chased Deepika with a Rose! Totally our fav. pose! That totally PUBLIC Proposal – that’s the way to win your girl! Who can forget the time Ranveer knelt down on his knee and gave his heart to Deepika in front of Whole Nation! We love how Arjun Kapoor is nailing the role of a Wingman @IIFA! Dubsmash Videos too, Dont feel afraid to be silly with BOO! It’s always fun to see Ranveer being all crazy, but love it, even more, when he decides to do this with Deepika as well! Nailing social media PDA so well! Candid conversations making them blush! They have the sweetest things to say about each other! Always supporting and complimenting! They are all praises about each other. While we wait for the Official pictures of the couple from their wedding celebrations, let’s have a look at our fav Bollywood weddings of 2017. PS- For the more Bollywood wedding gossip and trends head here! LIVE from The Isha Ambani Wedding – All the EPIC Details!